There is a trend emerging in table tennis in Oceania. For the longest time Aussies were dominating the continent. Youth and boys’ titles were constantly flowed across the Tasman Sea to the land Down Under. But now it seems the Kiwis have changed the tide. At the 2017 YOG Continental Qualification Event in Bendigo, New Zealand fielded two athletes in the Boys’ Singles final. 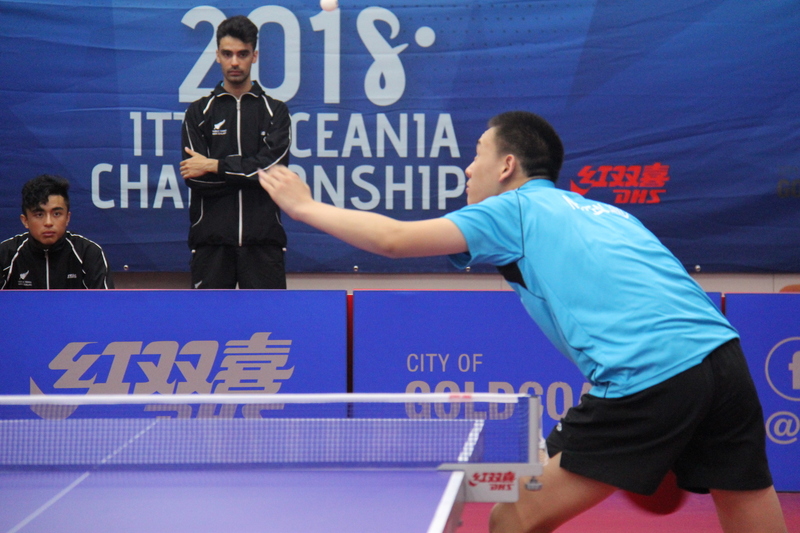 At the 2017 ITTF-Oceania Junior Championships, New Zealand took the U18 Boys’ Singles title back to their shores. 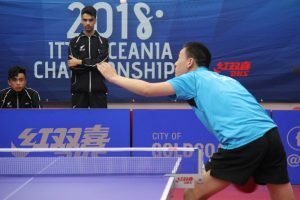 Today on the Gold Coast there was another major statement as the 2018 ITTF-Ocenia Championships got underway. In an epic encounter between Australia and New Zealand in the U21 Men’s Team Event, New Zealand kept the momentum heading their way. The Kiwis took down the Aussies, sealing the win in three full distance encounters. Young gun Nathan Xu first got the first win on the board. He got the upper hand over Luke Cosgriff in five tough games. Then Dean Shu and Roahan Dhooria took the court for a rematch of the 2017 ITTF-Oceania Junior Championships Boys’ Singles final. It was like the collision of two immovable objects. Nothing could seperate the pair as they headed in to a fifth game. At 7-5 Dhooria looked in control after hitting a series of screaming winners. After Shu sent one of Dhooria’s serves sailing long, the score was at 8-6. Oddly, the Australian decided this was the time to call a time out. For Dean Shu it was the perfect chance to regroup. Shu took the opportunity. With his big levers, he fired a handful of unreturnable forehands. Five straight points headed the Kiwi’s way and Dhooria was left wondering where the match went. The match then turned to the doubles. Once again the result was 3-2 in favour to the Kiwis. With the win sealed, the New Zealand boys didn’t let the Aussies off lightly. They took the next two matches to secure a 5-0 win. Green and gold is fading. Paint it black. Check out the full results from Day 1 at the ITTF-Oceania Championships here.